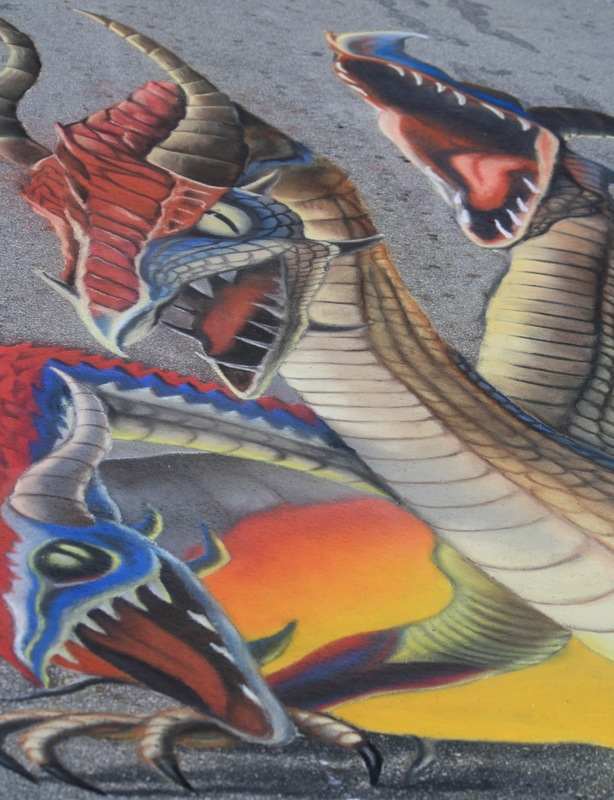 This year, the 18th annual Lake Worth Street Painting Festival was hosted on a cloudy weekend — but despite the constant threat of rain (and downpours to the north), Lake Worth’s vibrantly-colored streets were spared, save for a brief chilly rain on Saturday. 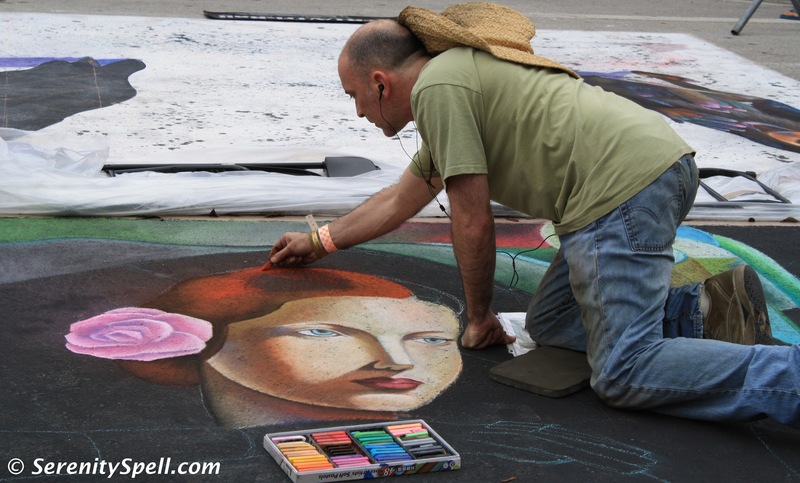 Each February, over 400 artists from as far away as California and New York — even the United Kingdom — transform the streets into original art and masterpiece reproductions with just chalk and the pavement as their canvas. 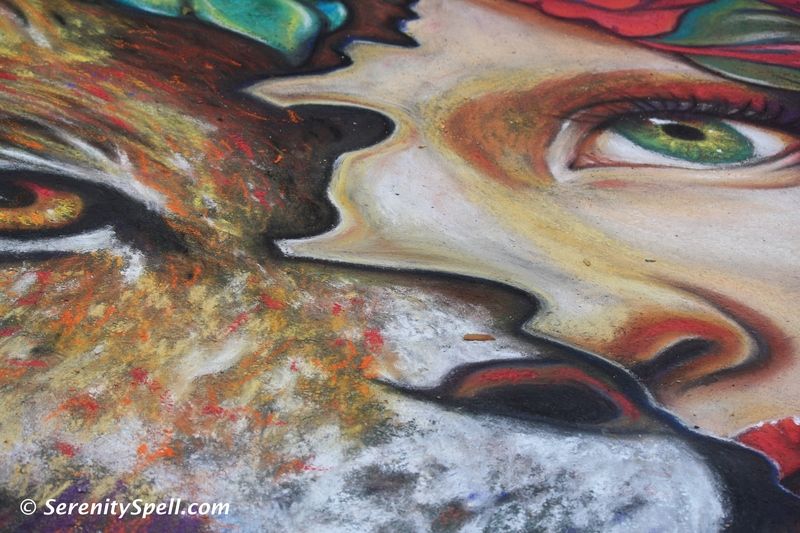 This year, more than 200 street paintings were created by 600 featured and amateur artists, covering more area than any other festival of its kind in the U.S.
As always, the crowds on Sunday were fierce, to view the fully emerged art and colorful concrete, as well as the street performers, musical entertainment, Food Courts, and Lake Worth’s shopping — fabulous consignment and antique shops line the streets. 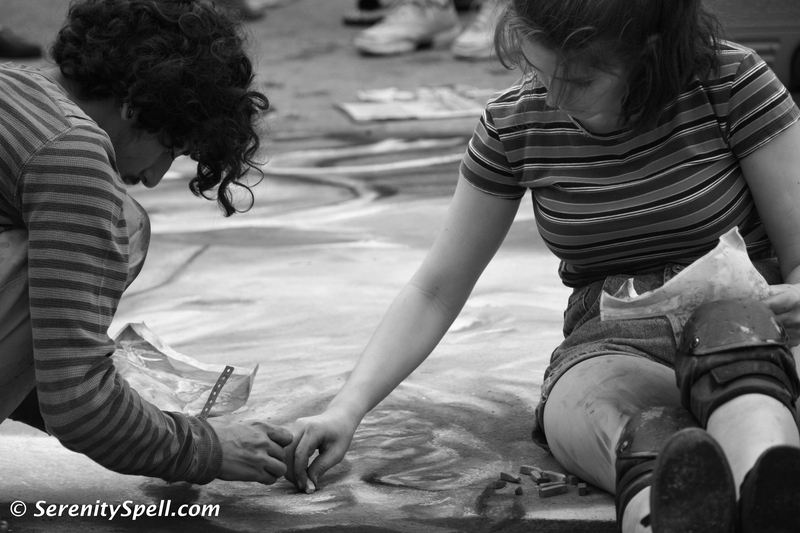 The artists are always lovely and open, despite the frantic schedule to complete their artwork during the two-day festival; there’s a friendly and communal atmosphere among them, as they participate and visibly enjoy the process and performance of street painting. 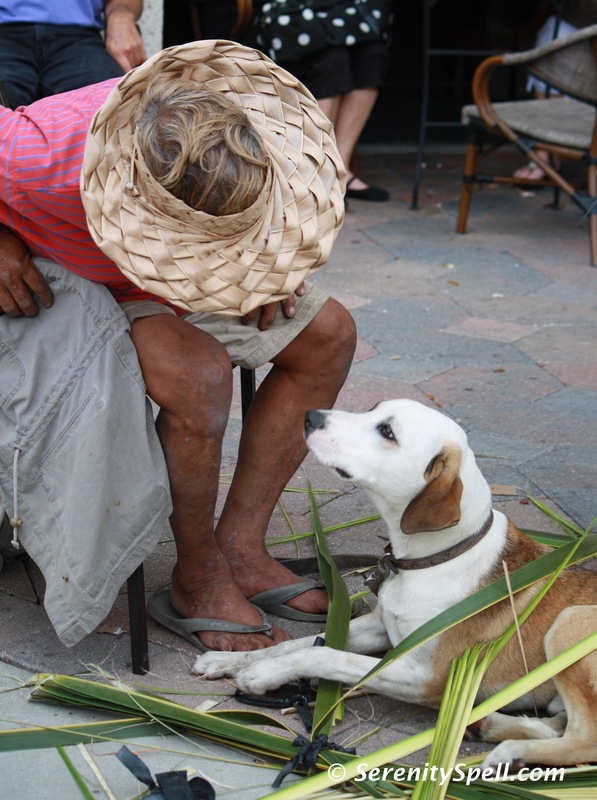 The Lake Worth festival began in 1994 by a small group of local residents, who wanted to revitalize their city — it is now touted as the country’s largest annual Street Painting Festival, attracting well over 100,000 visitors each year. Street painting however, can be traced to 16th-century Italy. 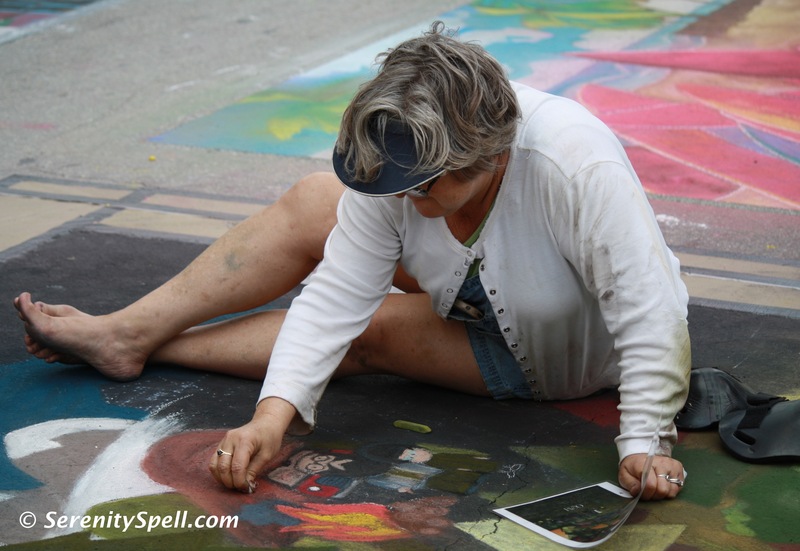 Itinerant Renaissance artists, hoping to advertize their works and attract critical attention and crowds, used chalk and the streets as their makeshift canvas.